I have a special project to share with you today! My project today used the NEW! 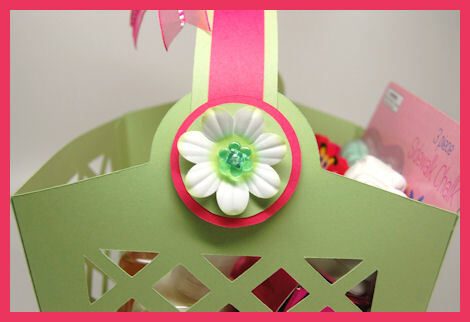 Berry Sweet Basket © template. She may only be 6 but she has endless ideas. You have to love the imagination of a child. I really try to see the world through her eye’s. Let me tell you, she has quite the imagination, and is always telling me what to do and how to do it. She is a lot like me, the older she gets! LOL! Her daddy agrees. Sad but true. I DO spend money on baskets all the time, to then end up getting rid of them in a yard sale. 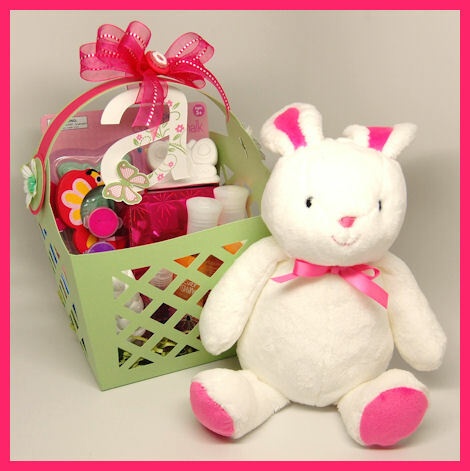 Baskets are timeless, gender neutral and EASY way to gift something. This basket is pretty enough all in its lonesome! No bells and whistles needed. Now I know I’ve done “basket style” templates before, so I wasn’t sure what I wanted to do, but promised her I’d entertain her idea. I knew I wanted it to be different than anything else as well, so I was perplexed a bit. Amber went on to tell me “It has to be BIG, so you can fit lots of cool stuff in it!” So I said, “Amber what do you consider BIG?”. She giggled and said I don’t know, like as big as this shopping cart! Now THAT would be a cool basket. I could fits tons in it!” . 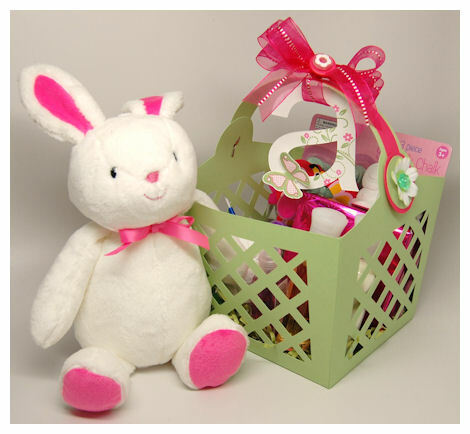 I looked at the basket and said ” Amber you are absolutely right! That WOULD be a cool basket. Look at these sides! I love that idea. You are so smart!” She replied “I know”! Amber had found this bunny at the store, and for some odd reason loved it. So I told her we would buy it for Gabby (her cousin). My real plan was to give it to her with this basket. I cut my template from celery cardstock, and added a fuschia strip to the handle. I added some Prima flowers to the handle ends, and used a flower brad. Simply sweet! I wanted to keep it simple, but still embellish it, so I customized the tag instead! I decided to use a lowercase “a” for Amber. I felt the lowercase “a” was more cute, fun and whimsical. I love how it just hangs from my ribbon, and can later be used for something else she may want to add it to. I stamped the flourish on the “a” from Fanciful Flourishes ©in a green ink , and added flowers ink fuchsia from the Singing Silhouette © set. I adore the shape of those flowers in that set! The butterfly is from my very first set All A Flutter © ! I decided to use the cris cross pattern in the wings, since it matched the pattern in my basket. 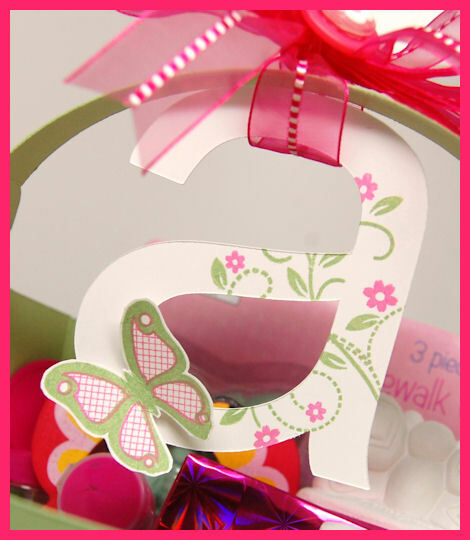 It was cut out using the Flutters and Flowers Cut File. My kids LOVE paper crafting (OK well 2 out of the 3 anyway). You will also want to check in with the MTME blog tomorrow beause it is our Pretty Palette Challenge. 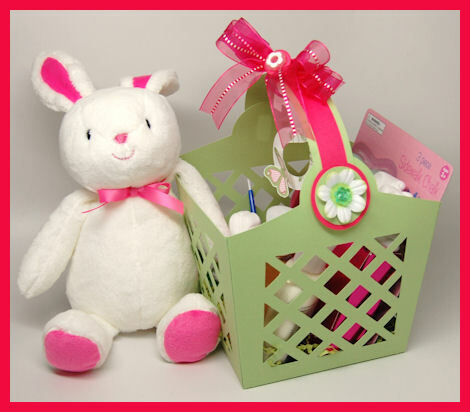 74 Responses for "“a” Easter Surprise"
Lauren, loving all the beautiful projects with your new templates, patterns, pieces, etc. You are so creative and I can see your sweet Amber takes after her mom…What a joy to share your passion with her! I haven’t had to much time to check on all the designs as we are entertaining out-of-town guests for the next 10 days. They came from rainy Seattle to the very hot Arizona desert, but they are loving it! It’s so sweet that Amber is so interested in what you do. And so good that you listen to her ideas the way you do. How exciting for her to know that she is a part of your creating process! Very cute! Both the lovely daughter and the basket!! What a brilliant daughter you have there! I love her idea and how you made it a reality! Fabulous! I’m looking forward to more of her great ideas and yours! Can I ask what weight gsm cardstock you recommend for your templates? Lauren love the basket you and Amber created. It is so useful. Love those kind!! Thanks for all you do to make it so fun to create. Is always fun to follow your blog. Amber is just getting cuter and smarter every year. Hi Lauren, congratulations, excellent project as always. 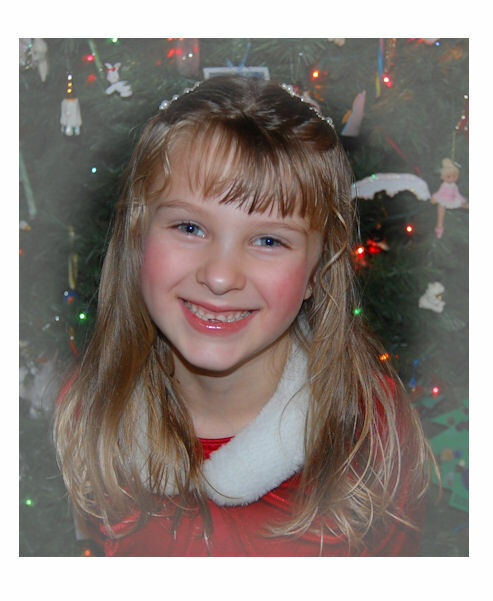 Sorry Lauren I forgot to congratulate Amber, she’s becoming a very pretty and sweet girl. God bless her, her brother and sister. You sure have a beautiful family. What a nice story behind this template! Amber had a great idea and mom really pulled it off! Love this gift for her! She certainly deserved it! Super cute! What a great idea Amber! You are just like your momma! Dear Lauren – it’s so wonderful to hear you sharing the cute things your kids do! Don’t worry about only two of your kids enjoying this hobby – it’s great that your son is sticking by his choices at such a young age – perhaps one day he will take over the corporate and ‘non-girly’ aspect of your budding business. You blog is so lovely that speak the words right out my month. I bookmark you so that we can talk about it in details, I really can’t help myself but have to leave a comment, you are so good.true religion jeans outlet . seventh consecutive victory over the Rockets. Thanks so much for this info Heather!! I was able to do it so easily. also thank you for your updates, i always look forward to it everyday. In order to maximize value to the collection, different people to buy cheap jordan shoes. Of of course, a large collection of Jordan shoes have cost much money, but it is good value for money. Jordan Sixth, as we know the result of a stable sale.As good example, Jordan air from the United States, but in other countries is very famous, because the signal new jordan and Jordan shoes. Gucci is really specialized in gucci shoes, clothing label, clothing and expensive jewelry. They are regarded as shoes and handbags in many leading products in the field of one of the most undeniable. The first-class quality and style is actually a special commodity, and creativity is absolutely invincible. Discount Gucci shoes buy online, most sites, practical and direct. When you access the Internet, you can buy discount shoes GUCCI own. You simply select the huge selection available of new gucci shoes. Most of the shoes is a great choice of colors like gray, beige, or even brown. In addition, they offer a different style, you can view images visit the online store. When you are satisfied with your selection, you can use your credit card to buy the online business will surely bring your door. For those who have additional questions, you can simply contact them by phone or through their website. people just win better than others. Lauren, LOL! I would love to go shopping with you. You are the Enabler Queen, hands down. At Louis Vuitton gradually establish a brand image, by the greedy imitators to its successful steal sac louis vuitton. But this further inspired George Vuitton Creativity — 1896, his Monogram canvas printed on the famous” LV” logo sacs louis vuitton, this makes the Louis Vuitton began as a symbol of the brand into the idea of people louis vuitton pas cher. And the end result will be the same as not following the blueprints for the home. Definitely this blog is very informative and neatly designed. Just wish to thank you for another excellent post. It’s clear for me that you’ve got a exquisite way of writing which I find excellent! Moncler lower coat offers some of essential actions to create their own lower coat. The actual make up associated with lower overcoats are manufactured from the following. The exterior of the lower coat is usually made from long lasting, water-repellent nylon. This kind of coating protects which absolutely no drinking water may permeate as well as retains the actual individual dried out. The actual nylon is usually heavier round the shoulder blades as well as neck of the guitar from the coat. The lower coat is actually full of goose feathers, that are really comfortable and therefore are recognized to insulate warmth really successfully. XQSAKDFJB55 I like it very much! Everyone has to do sport to keep health,we need sport jerseys, Cheap JerseysAaron Rodgers Jersey Shop,nfl,nba,nhl,mlb jerseys. Many people like to wear NFL jerseys. There are Cheap Jerseys Shop,Clay Matthews Jersey 49ers Jerseys,Miami Heat,Ncaa Jerseys,cheap steeler jersey. More jerseys you can see. Explore 200+ Auto Repair Tools. Deals On Scanner Obd2! Hans 12.9 dimes per spil fører ligaen, og han er varm på Chris Paul hale til toppen stedet i steals. Pakken består af to forskellige Society Mid colorways, røde for San Francisco 49ers og blå for Dallas Cowboys, hver designet med et væld af unikke features.The overdel er konstrueret ved hjælp af en helt ny SUPRA der er udviklet specielt til denne sko, i som mesh (svarende fodboldtrøjer) er lamineret og smeltet på læder, og derefter overtrukket med SUPRATUF. Soft læder bruges langs eyestay og krave, mens patentet vises på forblad.